PEEPS Peanut Butter S’mores Dip – The perfect sweet treat for spring! 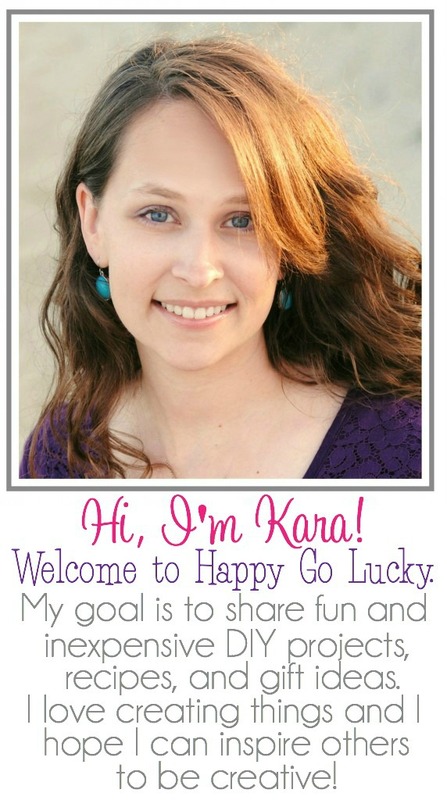 I’m popping in to share a last minute Easter treat that I made last night while we dyed Easter eggs. I know that it’s very last minute but it was too good not to share. You can’t go wrong with Peanut Butter S’more’s Dip. 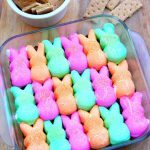 Then, add some PEEPS and you have a delicious and colorful dessert! 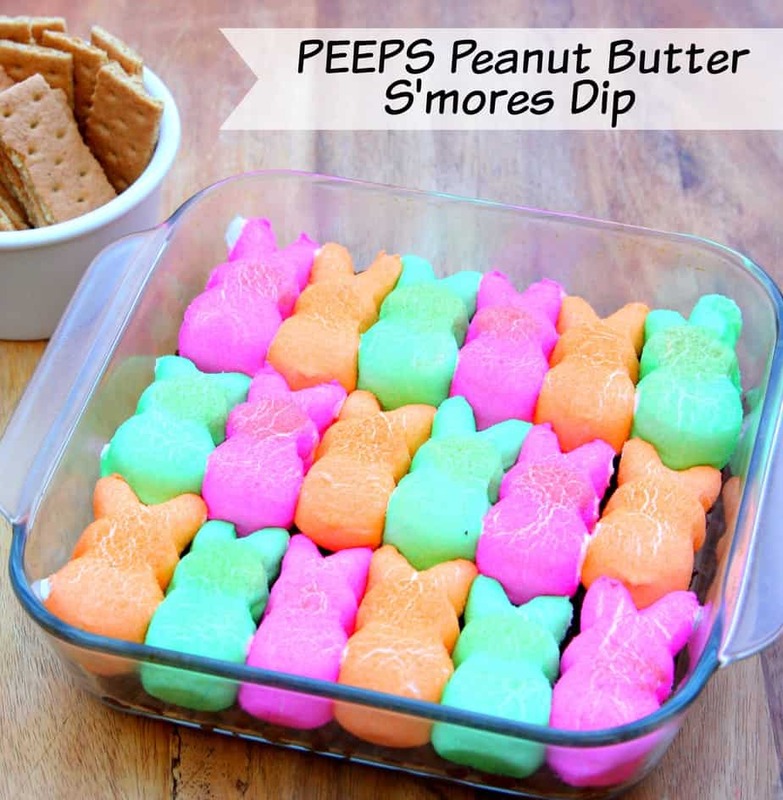 PEEPS Peanut Butter S’mores Dip – The perfect sweet treat for Easter and all spring long! 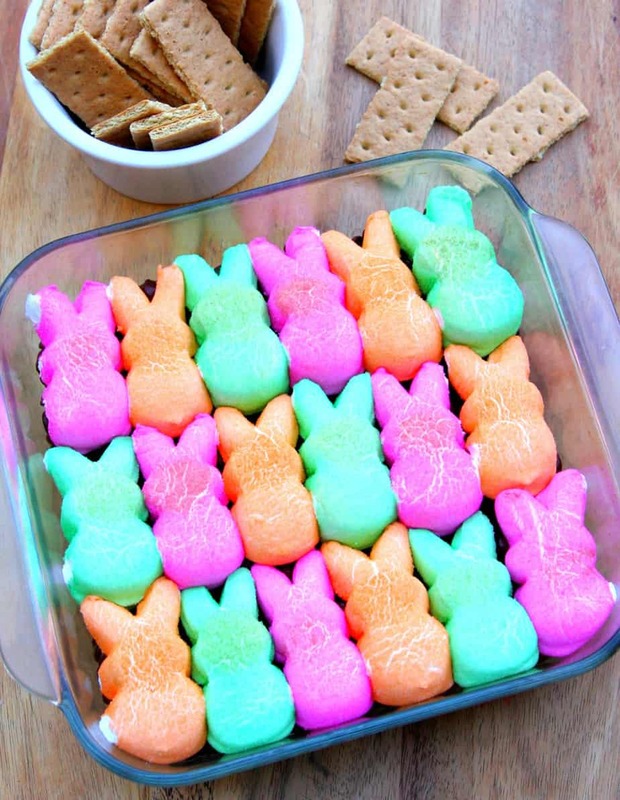 You can’t go wrong with any dip that includes peanut butter, chocolate, and marshmallow PEEPS. Add peanut butter cups and chocolate chips to baking dish. Cover with PEEPS. So stock up on all those PEEPS that will go on sale tomorrow. You can still make this dip after Easter.